One of the best meetups that I regularly attend is the Product Manager Breakfast that is organized by the wonderful people at UserVoice. Product Manager Breakfast is a relaxed conversation between Product Manager peers. The goal of the meetup is to provide a safe place where PMs can vent, trade tips, and discuss the challenges and opportunities of the role. This month, the topic was “PM Vs. Salesbro”. This was a highly demanded topic that kept coming up at previous breakfasts. Sales teams are often asking PMs for things in order to close deals. How do you know when to pay attention? What if they are a current customer? What if the customer is guaranteeing you a lot of money? We talked for a full hour, each PM sharing personal experience and horror stories from the past. We all came to an agreement that product management and sales are both aimed at increasing revenue and achieving the company’s mission. PMs need to get involved with the prospect/customer conversation to validate if a new feature request is a universal need. You can’t be afraid to say no. Savvy product managers realize that their job is to try to please the greatest number of on-strategy customers and prospects as possible given the available resources. If sales fail, then product management is failing. It’s important to clearly define the product roadmap and mission of the company and to make them known throughout the organization. Share the process of bringing a product to life with your customer/product. Make sure your sales team knows when a new feature would be bumping another potential revenue generating feature. The opportunity to interact with other PMs in person is priceless. They understand your day to day life and can even provide solutions to challenges that you are blocked on. With that face-to-face sharing in mind, I hope to see you all at the Startup Product Summit SF2! 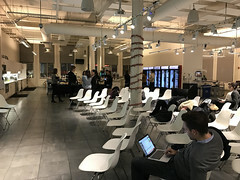 Editor’s Note: Evan Hamilton, Head of Community at UserVoice and an organizer of the Product Manager Breakfast meetup, spoke at February’s Startup Product Summit. His talk, Everyone’s Customers are Wrong & Their Data is Lying, was a big hit. Check it out for a taste of the kind of awesome talks we’ll have at Summit SF2! This is a guest post by Brittany Martin, a product marketing manager and recent transplant to the Bay Area from Pittsburgh, PA. Prior to joining us in California, Brittany was a curator of StartupDigest, Pittsburgh. She just began a new gig at ReadyForce, and is thrilled to be on their team and on ours. Follow her @BrittJMartin and read her new blog, San Francisco via Pittsburgh. This entry was posted in Original Article, Product Manager, Roadmapping, Sales and tagged Evan Hamilton, UserVoice. Teresa Torres shares 4 brief, but powerful explanations about how and why we so easily convince ourselves we’re right, when often we really aren’t. The keys to overcoming things like confirmation bias are awareness and honesty. Perspectives like the one Teresa shares in this post are one reason we’re excited to have her as a speaker at Startup Product Summit SF2, Oct. 11, 2013. Sign up now for advance registration pricing that is $200 off the full price! This entry was posted in Product Manager, Reposted Article, Summit Speaker, Validation and tagged Teresa Torres. When selecting features, identifying bad ideas and killing them isn’t the hard part. Identifying good or even great ideas and still saying ‘no’ because they’re not the right fit for the product is. Check out this amusing and practical article, with 12 arguments you’ll find you have to defend against as a product manager. My personal favorite: But it’ll only take a few minutes. This entry was posted in 2 - Plan, Design, Product Manager, Reposted Article, Roadmapping. …strengths of the management team or a sustainable competitive advantage…may not be sufficient to make your startup the great success embodied in your vision. …renewed focus on other less tangible attributes which can set your startup apart. …multiple other relevant priorities, and the other intangibles required for a great execution. “Great From The Start: How Conscious Corporations Attract Success ,” by John B. Montgomery, does a great job of laying out specifics. …your startup needs to be a “conscious” entity, constantly aware of the complex eco-system around it, and the factors driving change and evolution. This requires conscious leaders who are passionately committed to personal and professional growth, as well as the greater good of society. These leaders then cultivate the consciousness of their team members. This entry was posted in 1 - Conceive, 6 - Deliver, Business Models, Product Manager, Reposted Article, Scaling, Startup Culture. 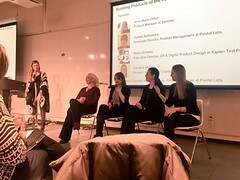 Alicia says, “Participating in as an audience member of the Global Product Management Talk over the last several years has been beneficial in helping me develop as a Product Manager. Alicia Dixon, Mobile Product Manager will join host, Cindy F. Solomon, on Monday, June 24, 2013 at the simultaneous times of 10:00 AM Pacific Time, 11:00 AM MST Denver, 12:00 Noon CST Chicago, and 1:00 PM EST Boston. 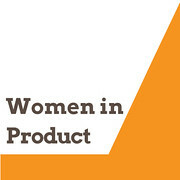 Q1 How did you become a Product Manager? Q2 What advice do you have for someone who is not currently working in Product Management but wants to get into a Product Manager role? Q3 What is the best thing about Product Management? What is the worst? Q4 Are there any particular books that you would suggest new and aspiring PM’s read? Q5 What tips do you have for new Product Managers to help them do their jobs effectively? Q6 What was your biggest mistake as a Product Manager? Q7 What are your thoughts on the Product Management certifications? Q8 What fun things have you been working on lately? This entry was posted in Broadcast, ProdMgmtTalk Speaker, Product Manager. It requires emotional detachment yet total passion. It might involve killing a business in order to save it. It’s by turns agonizing, rewarding, humbling and empowering. pivoting means doing something differently, often under time constraints as cash and investor patience dwindle. A pivot could involve changing a product to reach the same target market, going after a different market with the same product or preserving a small piece of existing technology to form an entirely different business. This entry was posted in 6 - Deliver, Pivot, Product Manager, Reposted Article.